RETRAC step van mirrors offer the perfect replacement option for a wide variety of walk-in vans and delivery trucks, including those from UPS, USPS, FedEx and others. 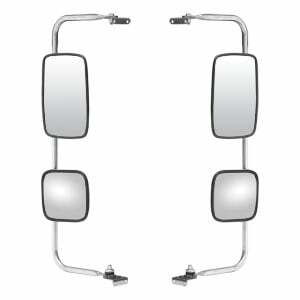 Our step van mirror assemblies are designed to be a complete replacement option, including both the driver-side and passenger-side mirrors and mounting assemblies. 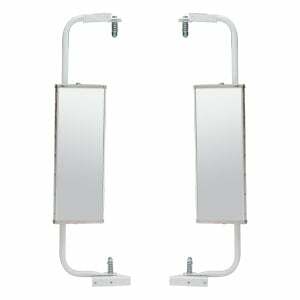 RETRAC step van mirror assemblies are available for vehicle-specific application or universal application. 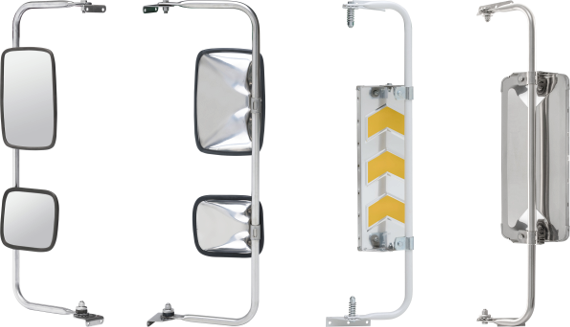 Our vehicle-specific assemblies provide a custom fit on the vehicle, replacing the OE mirrors and assemblies without any drilling necessary. 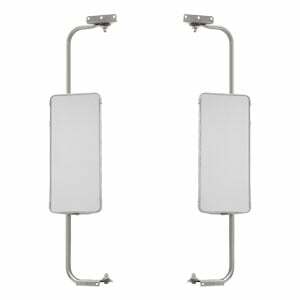 All RETRAC step van mirrors come with first-surface, non-glare glass, and they are available in UPS brown, USPS white and polished stainless steel for FedEx trucks.